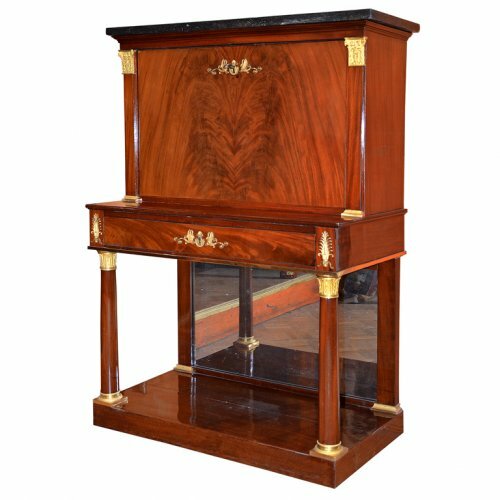 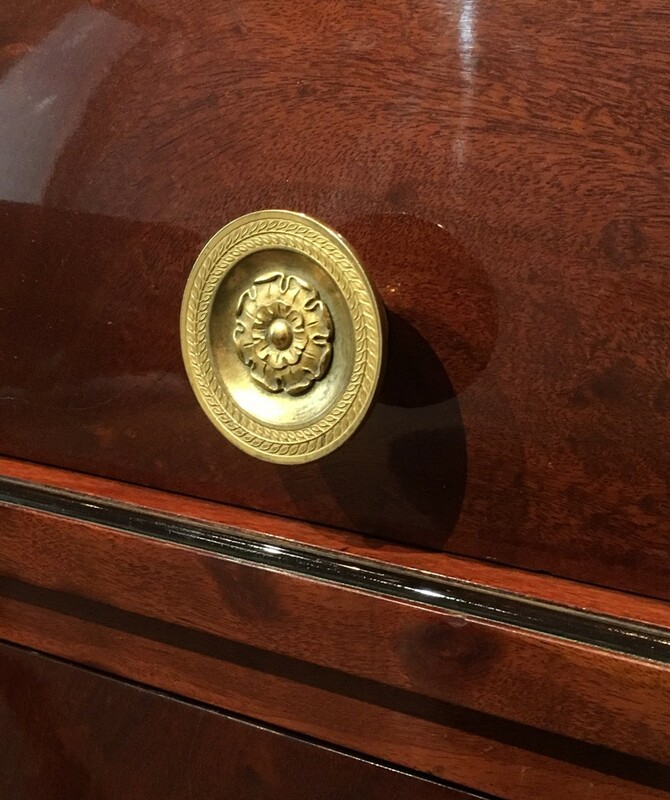 Cuban mahogany, ebonised wood, gilt-bronze, black marble. 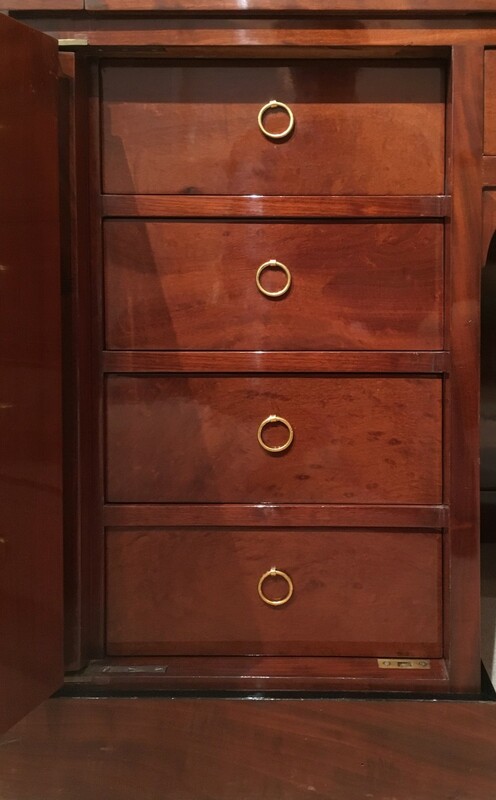 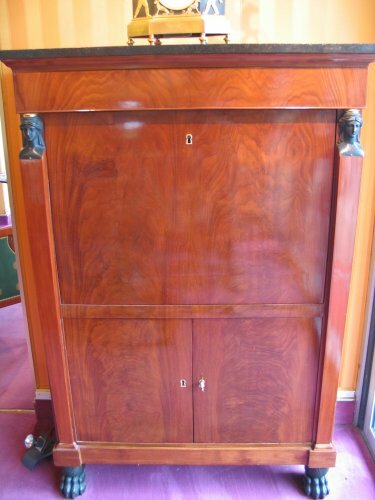 The cylinder opening to a pullout green leather writing surface and an arrangement of three drawers and a niche, the lower desk fitted to each side with a pullout writing surface, a central drawer, and two doors revealing series of drawers. 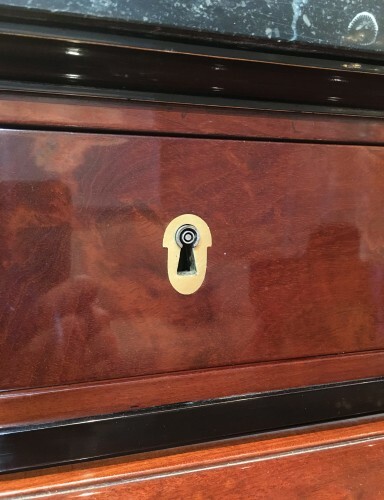 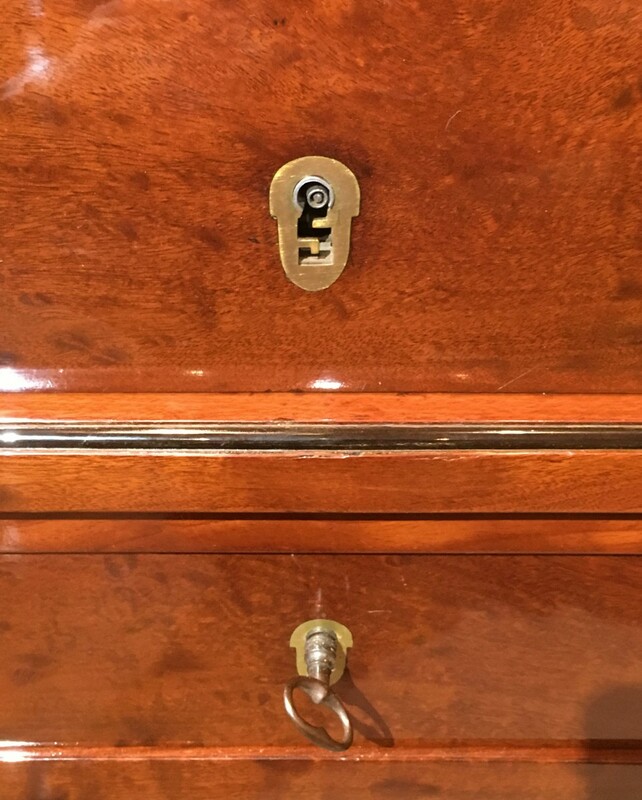 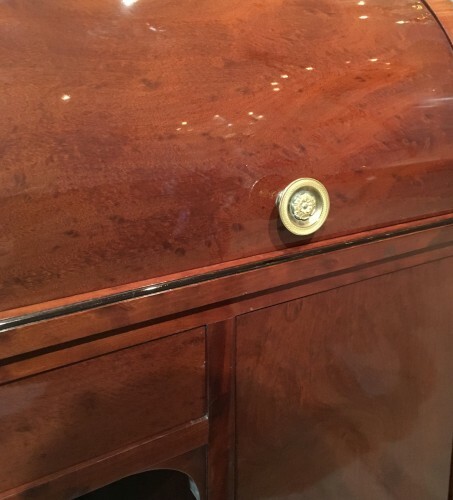 One of the left hand drawer fitted with a safe. 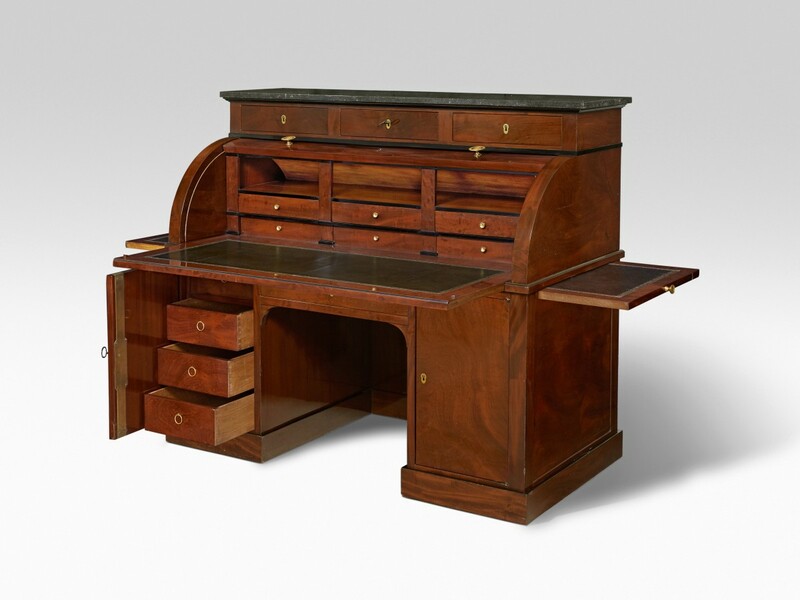 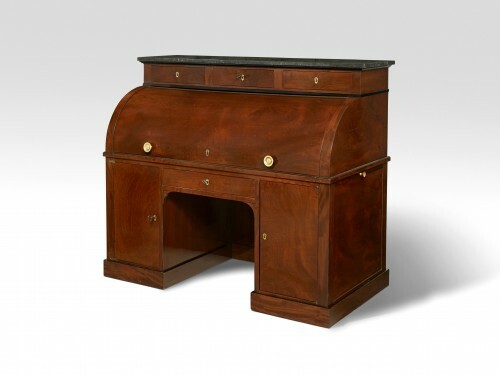 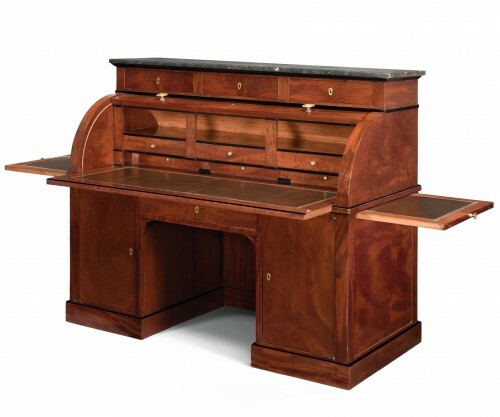 This beautiful desk is hiding a secret, who will be revealed to next owner. 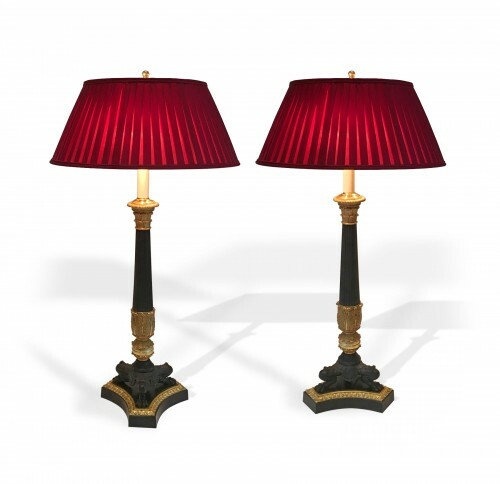 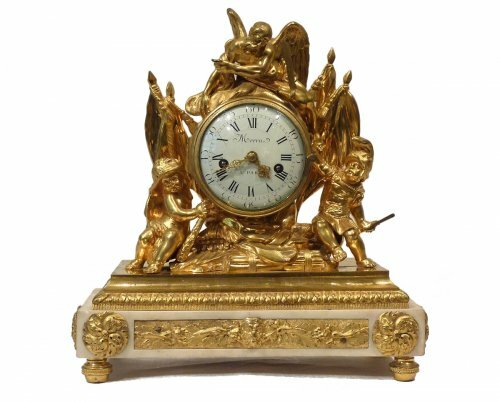 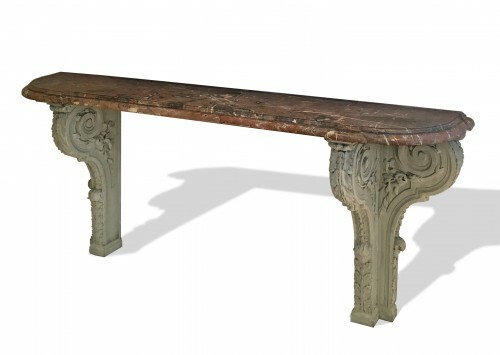 The firm Jacob Desmalter & Cie, founded by Georges Jacob (1739-1841) and his benjamin son François-Georges Jacob Desmalter (1770-1841), was one of the most successful and influential furniture workshops in Paris, from 1803 to 1813. Jacob-Desmalter, principal supplier of furniture to the Emperor, also received commissions from Pauline Borghese, Napoleon's sister in Rome, and the Empresses Joséphine and Marie Louise, for whom he supplied numerous pieces for the Château de Malmaison, the Château de Compiègne, the Tuileries Palace, and other imperial residences.